In the story, a small town boy travels to California to pursue fame by trying on different California film and video personas. He finds true acceptance by being himself. Hope you enjoy! Share widely. Beloit College Anthropologist, Associate Professor Jennifer Esperanza was feeling frustrated. Why is there always images of "exotic" peoples on the cover of anthropology textbooks? "Why can't there be images of, for example, a group of white American women eating salads, on the cover?," she asked. A quick Google image search of "anthropology textbooks" demonstrates her point: image 1. 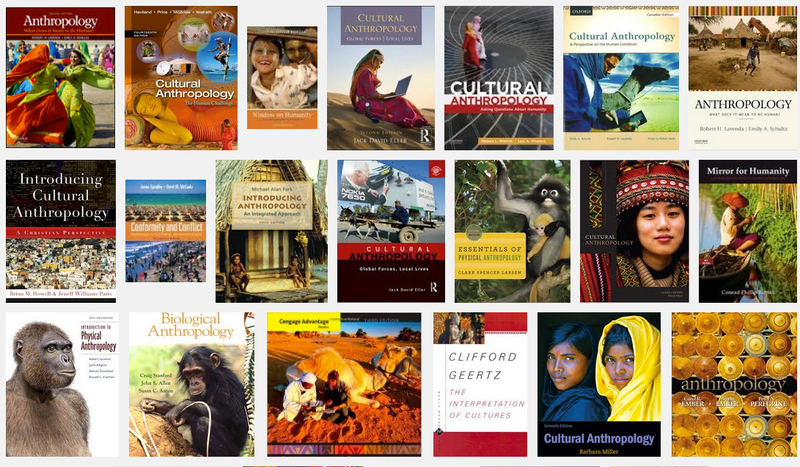 Image 1: Screenshot of Google image search of "anthropology textbooks"
Much of the writing on anthropological photography has sought to redress the indexical bias according to which Western image making of non-Westerners has, to put it as crudely as possible, objectified anthropological (and other) subjects. The aim of the Rebranding Anthropology Textbooks is to offer a critique not just in words, but in counter images that make stark the construction of identities and the owner/subjects of the anthropological gaze in anthropological photography. For me, it is part of two larger projects in which I have been involved. The first is the Decolonizing Anthropology project, which was first articulated by Dr. Faye Harrison in 1991. Since becoming an anthropologist, I have accepted her challenge to work "to free the study of humankind from the prevailing forces of global inequality and dehumanization and to locate it firmly in the complex struggle for genuine transformation" (Harrison 1991: 10). The second is the Rebranding Anthropology project that I initiated in 2005 with other applied anthropologists. This project culminated in a 2006 workshop with the American Anthropological Association to reposition the field from its traditional stereotypes to its contemporary practices and competitors. It also led to the redesign of the National Association for the Practice of Anthropology branding and logo mark in 2008 by University of Illinois at Chicago graphic design students. Greetings Danthro Alums. I have a quick weekend project for you to do as a favor. A friend of mine pointed out how all anthropology textbooks have these "exotic" images of others on the covers and never an image of "white women eating salad". Me, being Dr. Smarty Pants, said, "Wouldn't it be great to replace those exotica images with those of middle class American/Australian Caucasians doing stuff, maybe even using stock photos?" So, I would ask you to select a cover from a cultural anthropology textbook and replace the "exotica" image with an image equivalent of "white women eating salad." I would suggest creative commons instead of stock images so that we can use them in an article about this topic. I selected as my template the textbook, Anthropology: What Does It Mean to Be Human by Robert Lavenda and Emily Schultz, 3rd Edition: image 2. Then, I recreated the textbook with a set of two new images: image 3. The first image is one of my own and has the same Western "anthropological gaze" exotic style as the original textbook image. I used one of my own to avoid any future copyright issues in the reproduction of the project's images in articles, books, and exhibitions. It was also a good reminder for me of how many of the images in my iPhoto library adhered to the National Geographic style of representing the people and places where I have traveled for research. The second image is a decolonized version that shows a similar topic but with Western cultural practices as the subject. I downloaded the image from a Flickr Creative Commons image by colorblindPICASO. I found this exercise interesting and fun to explore. Especially focusing on the shift in the lens, from traditional anthropology to contemporary ethnography, and what that means. The longer I did it, the more interesting it got - I accessed deeper cultural themes, such as beauty, festivities or core cultural values. I liked the one where the North African guy is using modern technology (ipad) and the Western woman is practicing yoga, but maybe it would have been more effective if I had put a traditional Indian woman practicing yoga and then a western woman practicing yoga, to demonstrate a difference. Image 4: "Exotic" and decolonized images of Beauty Clay. Credit: Julie Hill. All images are from Creative Commons (Wikimedia). Image 5: "Exotic" and decolonized images of Body Modification. Credit: Julie Hill. All images are from Creative Commons (Wikimedia). Image 6: "Exotic" and decolonized images of The Interpretation of Culture. Credit: Julie Hill. All images are from Creative Commons (Wikimedia). Image 7: "Exotic" and decolonized images of Dancing. Credit: Julie Hill. All images are from Creative Commons (Wikimedia). Image 8: "Exotic" and decolonized images of Introducing Anthropology. Credit: Julie Hill. All images are from Creative Commons (Wikimedia). Image 9: "Exotic" and decolonized images of Market. Credit: Julie Hill. All images are from Creative Commons (Wikimedia). Image 10: "Exotic" and decolonized images of Cultural Anthropology textbook. Credit: Julie Hill. All images are from Creative Commons (Wikimedia). Image 11: "Exotic" and decolonized images of Nubile Women. Credit: Julie Hill. All images are from Creative Commons (Wikimedia). Image 12: "Exotic" and decolonized images of Eating. Credit: Julie Hill. All images are from Creative Commons (Wikimedia). APA Citation: Tunstall, E. (2016, April 7). Rebranding Anthropology Textbooks [Web log post]. Retrieved from http://dori3.typepad.com/my_weblog/2016/04/rebranding-anthropology-textbooks.html.